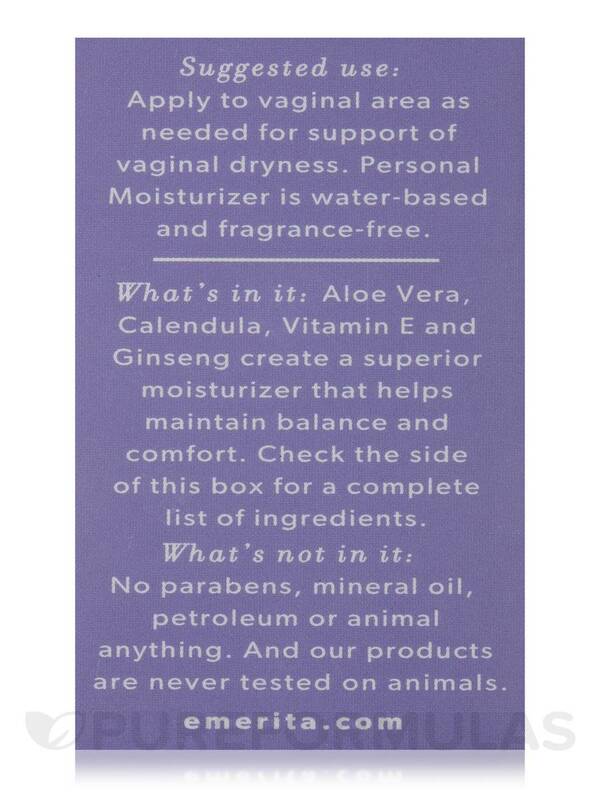 Designed especially for a woman's own body chemistry to soothe vaginal dryness…. with Vitamin E‚ Aloe Vera Gel‚ Chamomile and Calendula for skin support. This Personal Moisturizer is water-based‚ fragrance-free and paraben-free. Water (Purified)‚ Glycerin‚ Pentylene Glycol‚ Hydroxyethylcellulose‚ Sorbitol‚ Xylitol‚ Aloe Barbadensis (Aloe Vera) Leaf Juice‚ Tocopheryl Acetate (Vit E)‚ Retinyl Palmitate‚ Calendula Officinalis (Calendula) Flower Extract‚ Chamomilla Recutita (Matricaria) Extract‚ Panax Ginseng Root Extract‚ Allantoin‚ Squalane‚ Sodium Hydroxymethylglycinate‚ Disodium EDTA‚ Citric Acid. 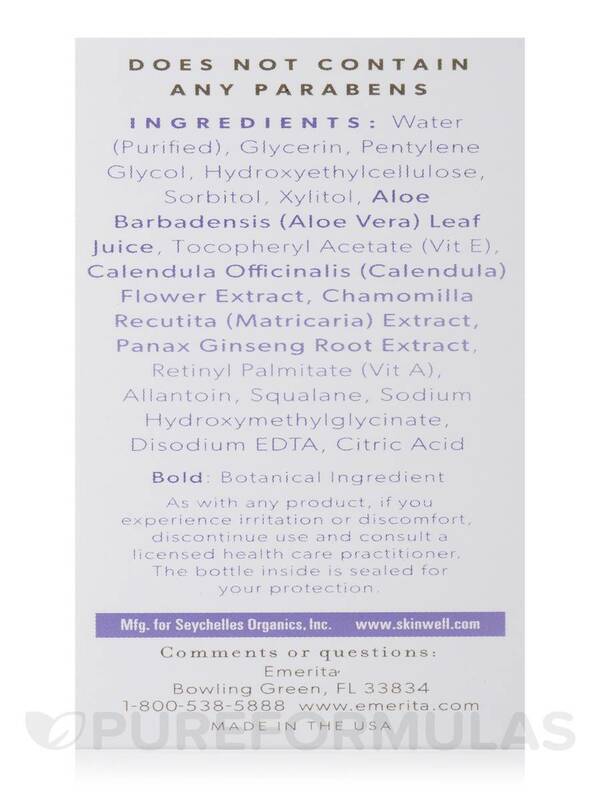 Fragrance-Free / Paraben-Free / Mineral Oil-Free / Petroleum-Free / Cruelty-Free / No Animal Testing. 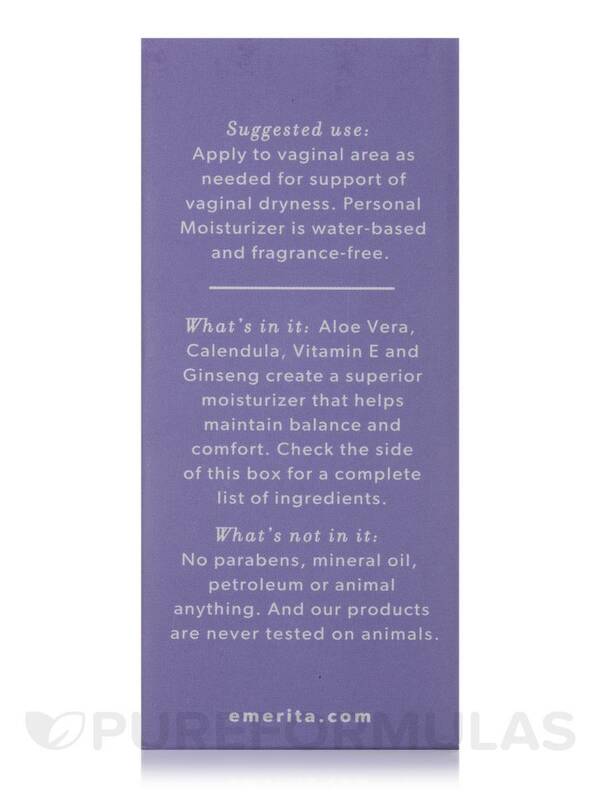 Apply to vaginal areas as needed for support of vaginal dryness. As with any product‚ if you experience irritation or discomfort‚ discontinue use and consult a licensed healthcare practitioner. The bottle inside is sealed for your protection. I tend to be sensitive to body care products and personal lubricant is no different. I use Feminine Psersonal Moisturizer by Emerita and Aloe Cadbra. There is no scent or stickiness. It does not stain and is fairly long lasting. 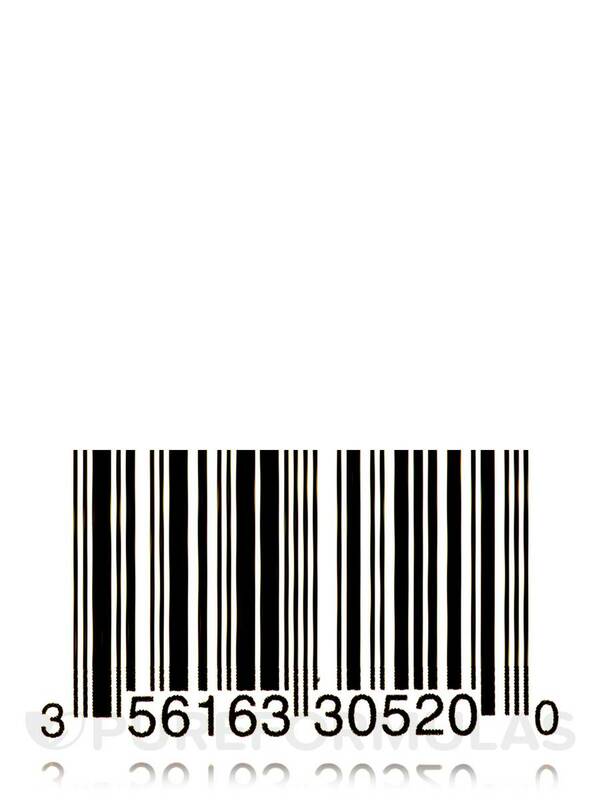 I think this is a good quality product. It's important to go as natural as you can with all your products. I struggle with thyroid issues with can cause vaginal dryness and this product helps me. No scent. Not sticky. Good price for quantity. Non-irritating. 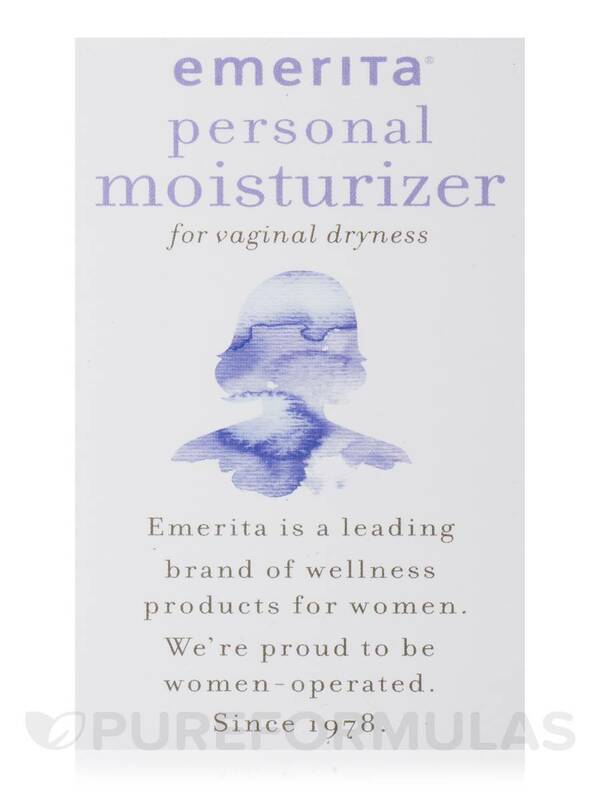 I have been using Feminine Personal by Emerita for years & feel it is the best product of its kind on the market! Contains all safe ingredients! 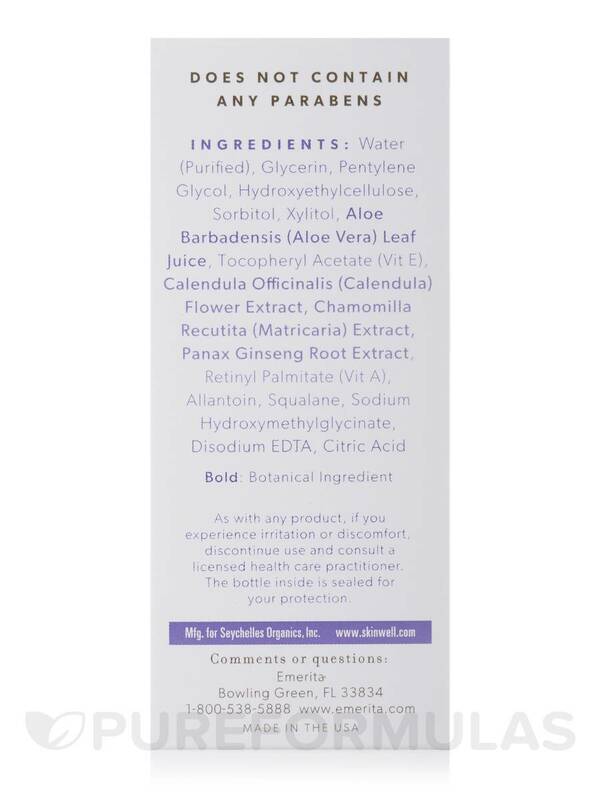 PureFormulas has the best price!!! Easy to use & definitely works!